Set mixing bowls side by side. Measure flour into one bowl. 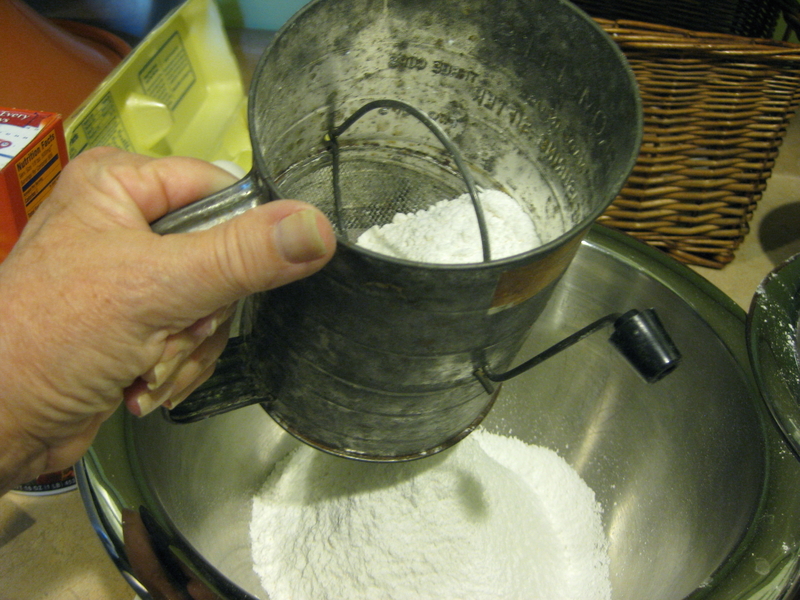 Set sifter into the other bowl, transfer flour into sifter and sift. Repeat two more times back and forth. On second sift, add soda and dash (1/2 teaspoon) of salt. 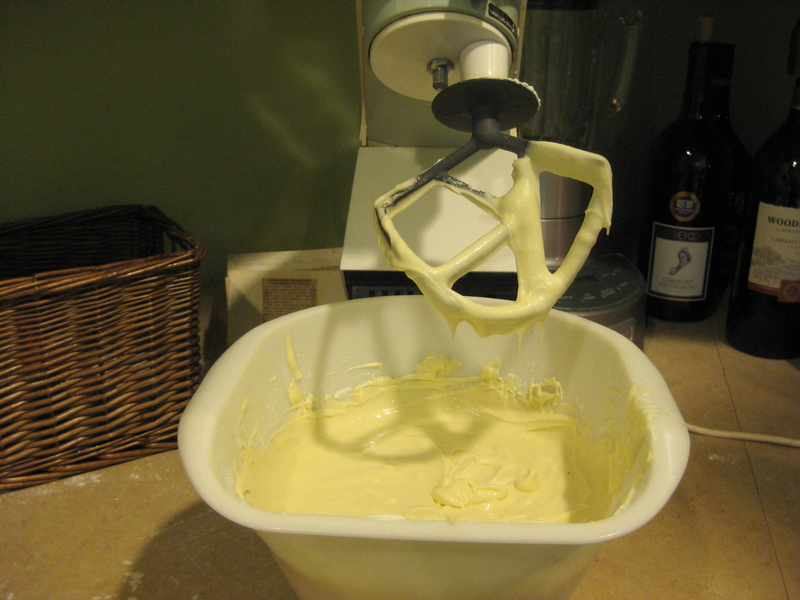 In your mixer, cream the softened margarine on medium-low speed (Use the batter beater, not the whisk one). Slowly add 3 cups sugar and cream well until light and fluffy. Scrape bowl bottom with your spatula to ensure everything incorporates well. 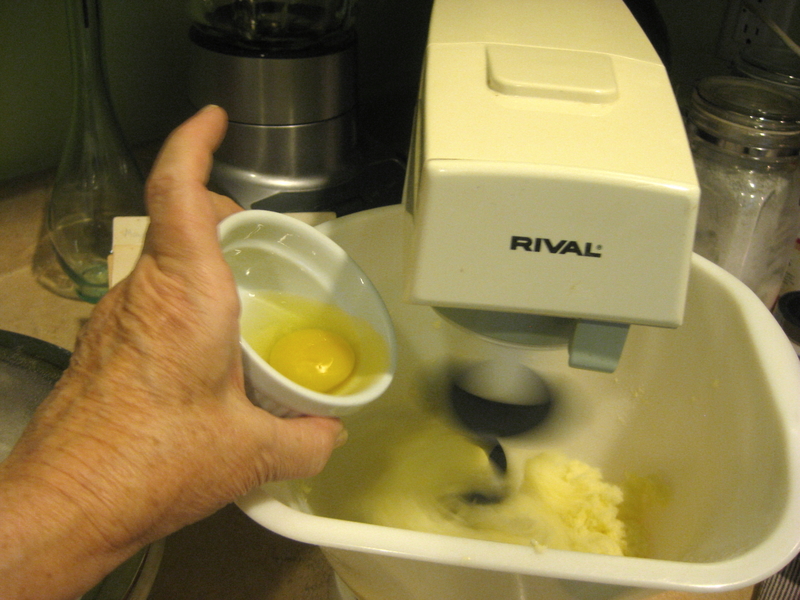 Add 6 eggs, one at a time, beating well after each addition. Stir in sour cream. 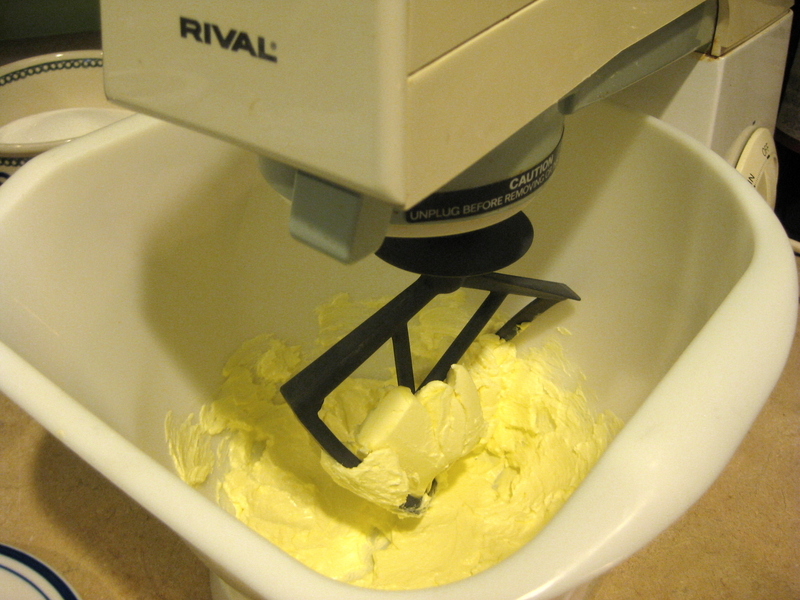 Lower mixer speed. 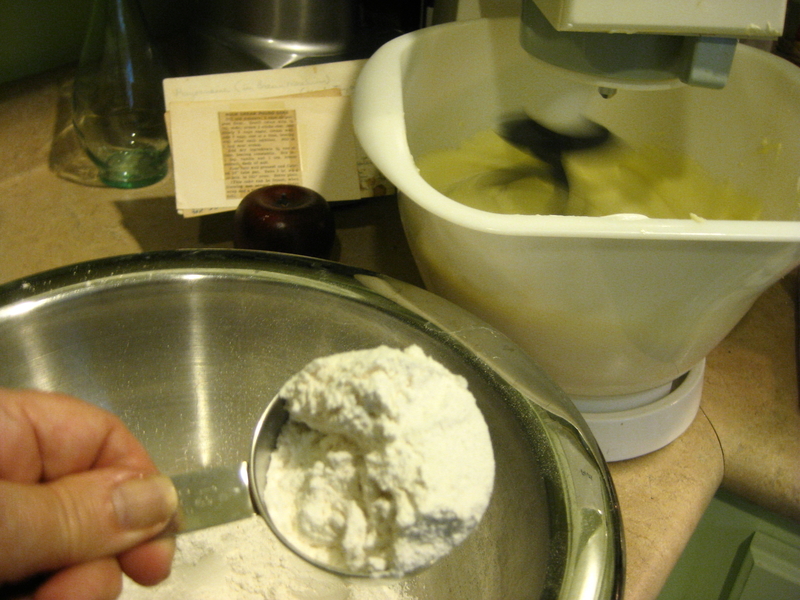 (If the mixer’s on too fast, it will blow flour all over the place.) 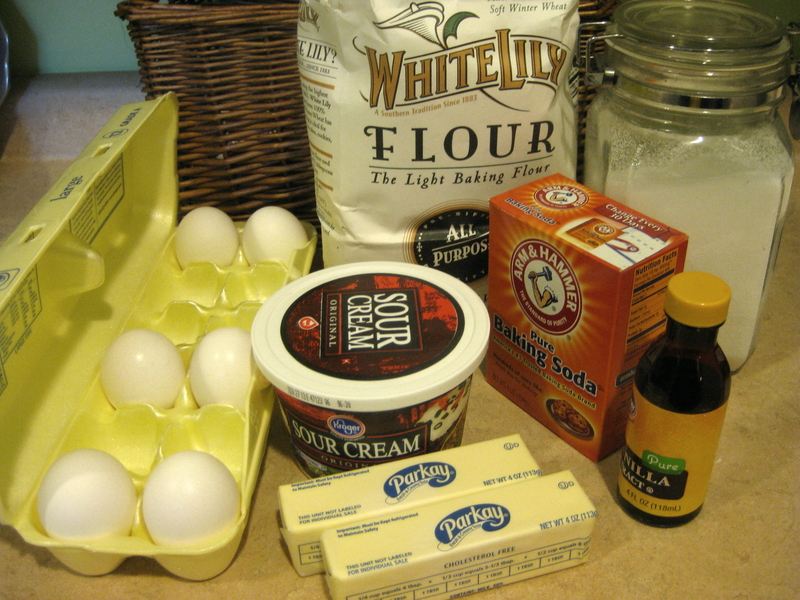 Carefully add dry ingredients 1/3 cup at a time, beating constantly. Scrape bottom with spatula again. 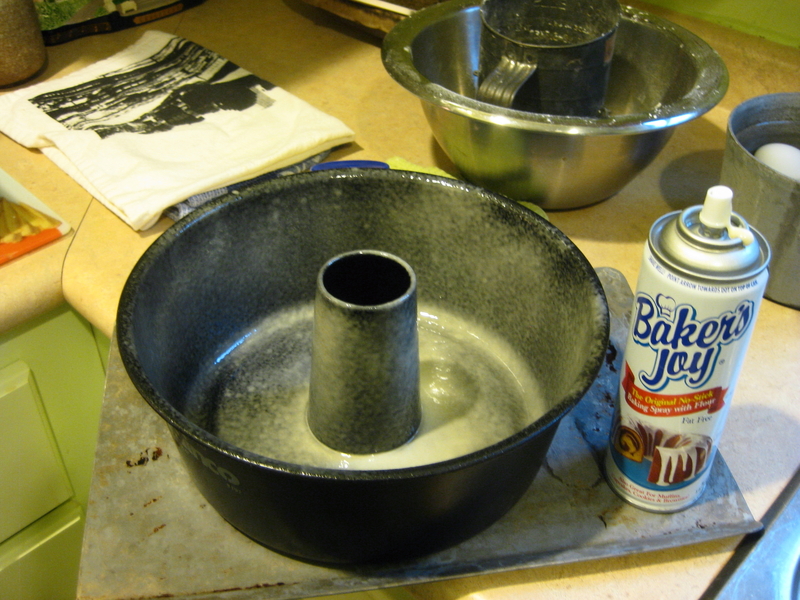 Hold your tube pan over the sink and spray it thoroughly inside, tube too, with flour-cooking spray. Pour cake mixture into it. Bake 1 hours 15 minutes (75 minutes). Allow to rest 10 minutes, then place large plate on top of cake pan and (with heat pads) carefully flip so that the plate is on the bottom. 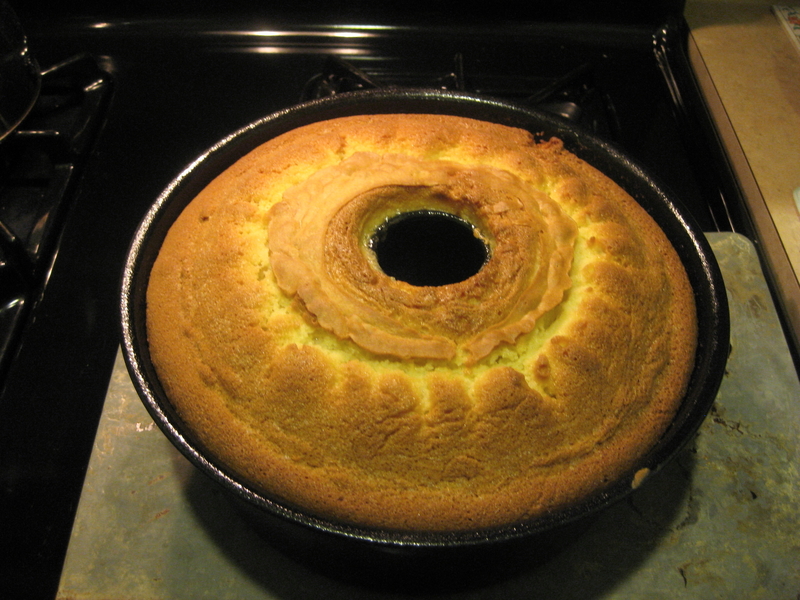 Carefully lift cake pan away from cake. 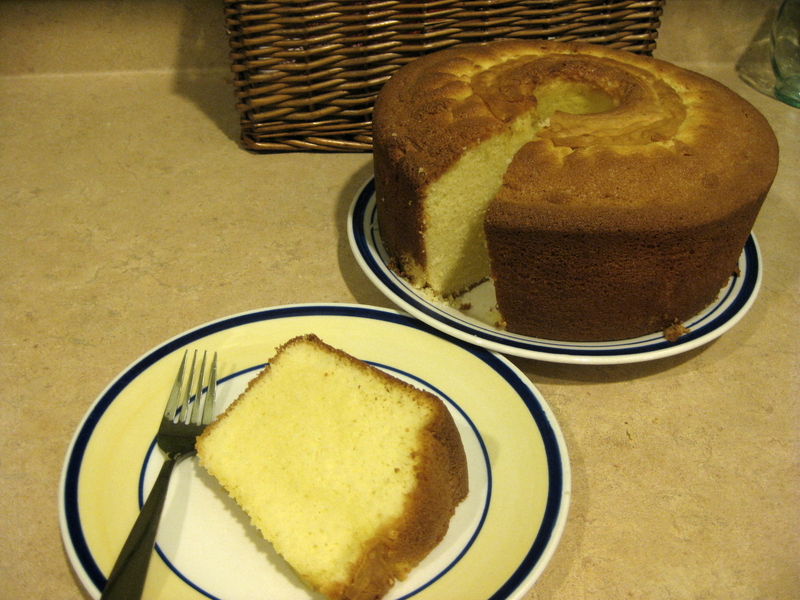 Place another plate onto the cake’s bottom (which is facing up.) Flip cake/plates again so that your cake is now upright and ready to cool. Terrific plain, but out of this world with real whipped cream (and some berries, too). NOTE – This cake can be frozen, but I say just eat it! If you want to freeze it, wrap it in several layers of plastic wrap and a final layer of aluminum foil.